After the fire that caused the demolition of the oldest skyscrapper in the city of Tehran (Iran), many doubts come to us about structural fires. What is an structural fire? How can we protect building to them? A structure fire is a fire involving the structural components of various types of residential, commercial or industrial buildings. Residential buildings range from single-family detached homes and townhouses to apartments and tower blocks, or various commercial buildings ranging from offices to shopping malls. This is in contrast to “room and contents” fires, chimney fires, vehicle fires, wildfires or other outdoor fires. Structure fires typically have a similar response from the fire department that include engines, ladder trucks, rescue squads, chief officers, and an EMS unit, each of which will have specific initial assignments. The actual response and assignments will vary between fire departments. It is not unusual for some fire departments to have a pre-determined mobilisation plan for when a fire incident is reported in certain structures in their area. This plan may include mobilising the nearest aerial firefighting vehicle to a tower block, or a foam-carrying vehicle to structures known to contain certain hazardous chemicals. 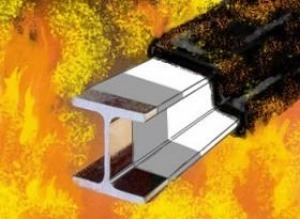 – Type I: Fire Resistive Typically used in high-rises. The material comprising the structure is either inherently able to withstand significant exposure to fire (concrete), or in which a fire resistive covering is applied to steel structural members. – Type II: Non-combustible Typically used in strip shopping center malls. Roofs are constructed out of steel rafters. – Type III: Ordinary construction Brick and mortar walls, wood frame floors. City rowhouses are where this type of construction is most often found. – Type IV: Heavy timber Often used in churches or other community-based buildings. – Type V: Wood frame Typically used in recent construction of single-family dwellings, townhouses, garden apartments with four floors or less.